Associate Spotlight: CORE ENVIRONMENTAL SERVICES, INC. Associate Spotlight: Summit Engineering, Inc.
Ann Green Communications produces solutions for many of the most recognized companies in the world. The team works across the nation and with international clients to ensure business objectives are met by building effective communication strategies. Programs are designed to establish trust and collaboration. This approach allows issues to be addressed in a manner that leads to success. In the current regulatory environment, industry needs the support of stakeholders—from elected officials and community leaders to near neighbors. The firm’s strategies are the roadmap to make that happen. West Virginia Cashin understands the importance of logistics and has created transportation solutions to meet your individual needs. A full range of quality and well-maintained equipment is available to keep your expenses and risk to the environment low. Our transportation equipment allows us to provide trucking services throughout our coverage area, which includes your location. 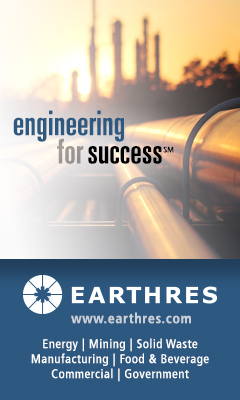 CORE ENVIRONMENTAL SERVICES, INC. provides engineering, permitting and remediation services to a variety of industries including oil and gas throughout WV, OH, and PA. CORE has offices in Morgantown and Lewisburg, WV, as well as Allison Park, PA.
Read more: Associate Spotlight: CORE ENVIRONMENTAL SERVICES, INC.
MATRIC (Mid-Atlantic Technology, Research & Innovation Center) is the strategic innovation partner of choice that provides uncommon expertise and infrastructure to solve the most challenging science and technology problems. Focusing on the areas of chemical, energy and environmental technologies, technical engineering and advanced software technologies, MATRIC delivers innovation from concept to commercialization. We utilize our experienced and renowned staff, unique laboratory and pilot plant facilities, and flexible intellectual property models to create value for customers and investors around the world. We are an energized and expanding company that works from facilities in South Charleston and Morgantown, W.Va.
Read more: Associate Spotlight: Summit Engineering, Inc.
Charles Ryan Associates is a proud member of the West Virginia Manufacturers Association. We all benefit from the organization's advocacy work, and we strive to add our expertise to the mix – whether it's designing the new WVMA logo or helping coordinate and promote the WVMA Educational Fund. CRA has been in the communications and branding game for 40 years, and during that time, we've gained a wealth of experience in the manufacturing industry. We think that knowledge could benefit you.